If you’ve worked in certain jobs your whole life, you may have resigned yourself to the fact that you’ll have some hearing loss. That doesn’t mean you didn’t wear protection and follow safety rules. It merely means that some jobs disproportionately put your hearing at risk like factory work, mining, construction and working loud events. But when does hearing loss go from a mild annoyance to a severity that becomes a disability? It’s important to know the difference. Experts consider a loss of 10 to 15 decibels to be normal. You may ask, “why is any hearing loss normal?” Unfortunately, almost everyone will have hearing loss as they age. By the time you reach adulthood, you’ve already lost some sound perception. Mild hearing loss starts at 26 to 40 decibels. If you can’t hear a sound quieter than 35, you have mild hearing loss. In everyday terms, this means you couldn’t hear someone right beside you whispering. Moderate hearing loss is a loss of between 41-55. This means you would have trouble hearing people who use their “inside voice.” You probably ask people to speak up if there is any background noise at all or if they speak quietly or mumble. With mild and moderate hearing loss you’ll struggle with some voices more than others. For example, higher pitch voices like those of women and children may be harder to hear or fully understand. Some letter sounds may be hard to distinguish. That’s why hearing tests don’t test volume alone. Severe hearing loss means you’ve lost 71-90 decibels. You can’t hear people talking at a reasonable volume standing right next to you without a device. 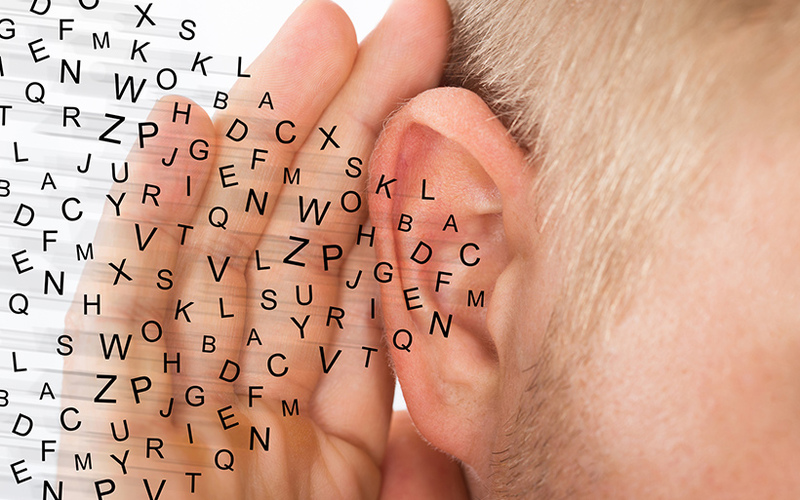 When Do Government Organizations Consider Hearing Loss a Disability? In the US, the Social Security Administration (SSA) is responsible for setting guidelines for qualifying disabilities. They have established two primary tests for the level of hearing loss call an Audiometry Test and Speech Recognition Test. Both are useful benchmarks for understanding the severity of a person’s hearing loss. This tests the volume that you can hear. In general, you’re considered disabled if you cannot hear below 90 decibels in your best ear, and you cannot hear below 60 through bone conduction. Some sound is received through bone vibration. That’s why your own voice sounds different on a recording. Humans can hear lower decibels when the sound is a lower frequency (pitch). They often have more trouble hearing these quieter sounds if the frequency is high. So to get an accurate representation of how well a person can hear, they have them listen to tones at various frequencies. They then take an average. Even if you’re able to hear tones, you may not be able to understand words. Because of this, you’ll also take this test to determine speech recognition. You’ll be asked to listen to and repeat words. People who can’t understand 60% of them may be considered to have a disability. Regardless of whether you qualify for disability benefits of not, you could still have a disability if hearing loss is impacting your ability to function in life. Ask yourself some very important questions. Do you feel unsafe in your home or when you go out because you might not hear something? Do you feel frequently frustrated, misunderstood, anxious or depressed because of your hearing loss? Do you feel distant or disconnected when others are having a conversation with you? Do others seem frustrated when they try to talk with you? Do you frequently ask people to repeat themselves or speak up? Do you think everyone around you is mumbling? Are movies and music less enjoyable? Is an internal ringing, thumping, static or other sound interfering with your ability to understand? Are you having trouble at work? You may be a teacher who can’t hear his or her students. You may work in a call center and frequently misunderstand the customers. Maybe you’re in construction or another field where teamwork and hearing are essential. If you have trouble doing your job, your hearing loss has become a disability. If you can answer “yes” to one or more of these, then you’re hearing is significantly impacting your ability to live life. This is when hearing loss becomes a disability. An audiologist can help you find hearing solutions.